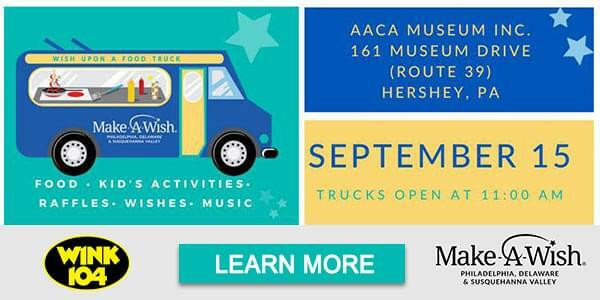 WINK 104 invites you to the WISH UPON A FOOD TRUCK FESTIVAL benefiting the Make-A-Wish Foundation. It’s on Saturday September 15th from 11 till 5 at The Antique Auto Museum on Rt. 39 in Hershey. It features 35 food trucks, kids Activities and much more!